Back pain has been established as the cause of more disability worldwide than any other health condition (Hoy et al., 2014). Barring underlying pathology or congenital structural defect, the majority of back pain suffered across the United States and throughout the world is the result of repetitive postural stress, inflexibility, and sedentary lifestyle. How many of you have engaged in a day of gardening, a hike up Dog Mountain, picked up your toddler, or merely bent over to tie your shoe, to then experience a sharp, gripping pain in your low back that stops you in your tracks? After recovering from this startling experience you go on about your day thinking nothing more about it, with the exception of the sensation in the background reminding you that something is just not right. It is also likely that you are not getting better, but worse as you give your best efforts in denial that it will just go away after a good night’s sleep. Then, upon rising, you are now incapacitated and struggling in pain with each basic movement you normally make without a thought. Your greatest desire is now to curl up on the floor and not move contemplating with utter confusion how this could have happened because all you did was bend over to pick up the little one (for the hundredth time that day)! The answer is accumulative stress and deconditioning. The good news is, you are not permanently disabled, though at the time it feels like it. The best news is that you have the power and skills to regain and maintain your physical health. So, what are the issues of daily life that are the culprits of back pain? This problem began with the industrial revolution and has escalated as we advance and promote the technology revolution. Though the industrial revolution is credited to a decrease in mortality, as the tools and machinery have been revolutionized and evolved into computer technology, a progressive decline in human performance, fitness, and nutritional practices has prevailed resulting in an inverse relationship between lifestyle and one’s overall health. A sedentary lifestyle fueled by a primarily processed and convenience food nutritional plan has now become the accepted standard of living. Most Americans are sleep deprived, inadequately nourished, chronically stressed, and deconditioned. A study from Matthews et al. (2008) investigated time spent by Americans in sedentary behaviors (defined as television, electronic games, and computers) and revealed that children and adults in the US spent 54.9% of their waking time, or 7.7 hours per day, in sedentary behaviors. The participants of the study ranged from 6 to 85 years of age. Apply these consideration on spinal health and our role in overcoming its demise, it all comes down to basic lifestyle practices: get up and move (this includes taking breaks from extended periods of sitting or standing), stretch regularly, consume a few less refined foods and substitute a fresh equivalent, and spend a little more time outdoors in the fresh air. The following are suggestions for how to incorporate these activities into your daily life without turning your world upside down. Ultimately, it is the implementation of small changes over time that will set the stage for lifelong positive lifestyle practices. #1 Workspace Ergonomics: Proper set up for your work area is absolutely essential. This can be your professional workspace, home office, school, or anywhere you do computer work. THIS IMAGE provides all of the dimensions for effective seated positioning at the computer. In relation to the standing desks, all of the dimensions for the head, neck, and upper extremities still apply. We suggest an anti-fatigue mat included for the standing deck scenario and placing a small step stool under the desk to prop a foot upon. 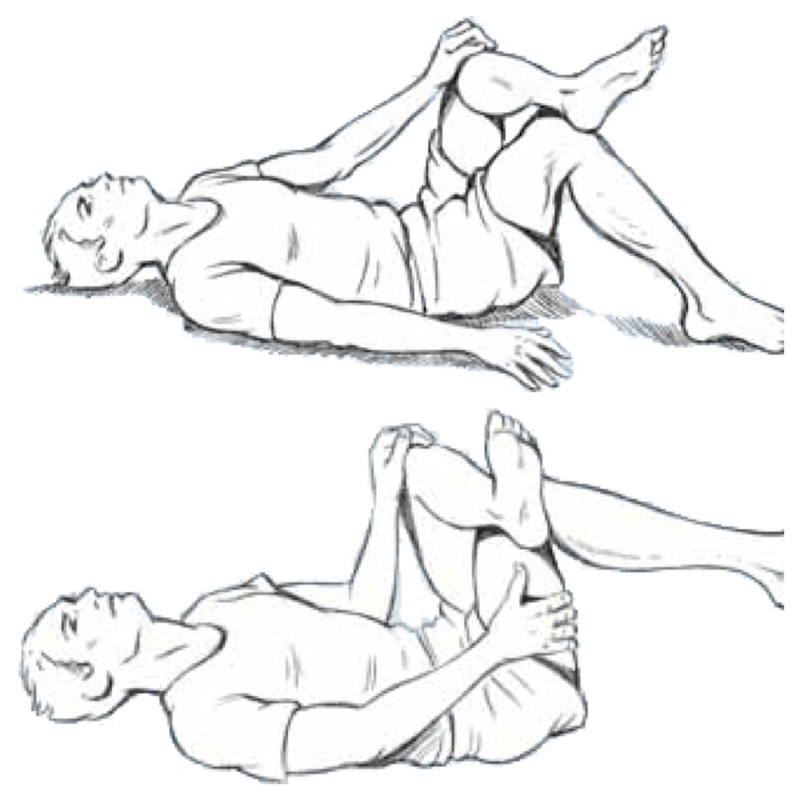 Alternate which foot is on the step stool to avoid added tension in your hips and sacrum. #2 Take Breaks: In an attempt to avoid postural overload and stress, taking periodic breaks from either sitting or standing is key. Taking a 5 to 10 minute break on the hour will reduce stress to your body and keep you mentally alert. In Pellegrini and Bohn’s (2005) study on the role of recess in children's cognitive performance and school adjustment, they found the recess breaks after 40 to 50 minute instructional periods maximized the children’s attention to work compared to that prior. The activity breaks provided greater levels of attentiveness and initiative to work. Given that adults are merely children in a bigger body, it is likely that the outcomes would be the same for the same study with adult subjects. Breaks revitalize the mind and the body maximizing physical, mental, and emotional well-being and productivity. #3 Stretching and Core Strength: The chronically tight muscles that develop from postural stress and a weak core are the # 1 contributors to back pain. This can be easily countered by regular stretching and maintaining a strong core (abdominal muscles). Taking a yoga or Pilates class are a great way to accomplish this, but an even easier method can be accomplished in taking 15 minutes out of your day to perform a handful of stretches and core exercises. The following is a short series to target those muscles. Stretches should be held for 5 deep breaths. 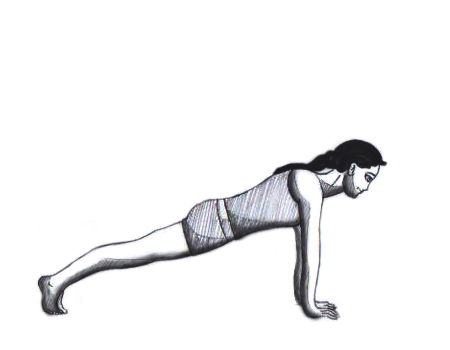 Exercises that have a repeat component should be initiated with 10 repetitions. Exercises with a hold component should be held for 15 seconds for 2 repetitions. Increase hold time and repetitions by 10% when a plateau is reached. #4 Get Adjusted! : Regular adjustments and massage should be part of your regular health maintenance. Just as your car gets a tune up, take yourself to the body shop for regular tune ups to your nervous system, joints, and muscles. Of course come to see use when you are injured, but coming for wellness care helps to prevent future injury or reduce severity of injuries when sustained. With a few modifications to your office workspace, taking breaks during long period of sitting or standing, 10 minutes of stretching/strengthening a day, and body work you have fulfilled your commitment to counter the acting evils of back pain. Hoy, D., March, L., Brooks, P., Blyth, F., Woolf, A., Bain, C. … Buchbinder, R. (2014). Matthews, C., Chen, K., Freedson, P., Buchowski, M., Beech, B., Pate, R. & Troiano, R. (2008). Pellegrini, A. & Bohn, C. (2005). The role of recess in children's cognitive performance and school adjustment.